Summer's already set in and it’s so blazing outdoors that the prospect of playing cricket or badminton is near impossible. So why not make indoors fun? Go grab some colors, and get set to become the next Da Vinci! 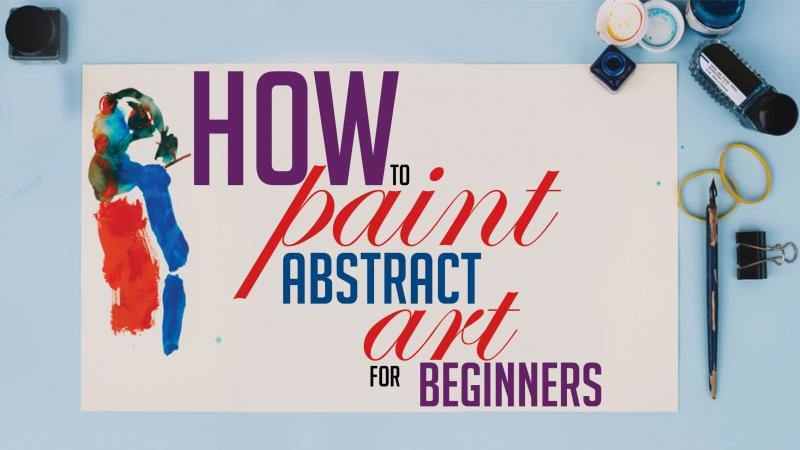 Here’s the definitive guide on How to paint Abstract Art! You will finally get some clarity on one of the seemingly puzzling forms of art, which has always appeared to be so thought provoking, urging one to figure out the intriguing message it conveys. Also, you get to know more about different abstract art techniques, such as oil painting tips. Although in the first glance, it might appear as a smother of different colors haphazardly, it is much more than that. It is up to your discretion, whether you really want it to convey a consistent message or not. Abstract Art is all about the freedom to imagine listlessly, so let your mind relax and the painting unfold. Read on to know more about how to paint abstract art. Before you start, you'd want to be familiar with the basics governing this form of art, so you're going to need Acrylic colors, a suitable Canvas, materials for texturing as per your choice, paint brushes etc. It is crucial to select the right size of canvas as you desire for your painting, and also to create a texture for the same. Be creative, don’t hesitate from using what your heart tells you, it could even be gritty sand that’s on your painting! You can try various textures based on the final look that you want to achieve for the painting, such as matte finish, glossy finish and so on. Just like Flatlay Photography, you would need a common base element, that binds the individual aspects of your art piece cohesively, to give you THE big picture, which can speak for it's own. It should be a color that holds the minutest components of your art piece together. Art is the opposite of science, and that’s why there isn’t any right or wrong! The beauty and essence of art lie in giving life to your deepest passions, the emotions racing through your mind, the far from reality ideas in your imagination, the little things that make your heart sing! To learn how to paint abstract art, don’t be afraid to experiment with colors, for they are the life of your painting. Like you already read, there aren't no rules, so it is all your discretion. The canvas is all yours! Often, it might be difficult to bring to life the thoughts that cross our minds, because channeling them is so hard otherwise too, right? If you’re new to painting and too afraid to let go, worry not because there\'s just the right technique for you! You can always start with the Semi Abstract form, which is an easy abstract art for beginners. Another tip for beginners to learn how to paint abstract art is using existing piece of work for inspiration for starters, choosing a simple picture having a simple, but elegant theme. This technique is similar to Semi Abstract method, and can serve as a great tool to help you accomplish a good painting when you're just taking the baby steps into art. 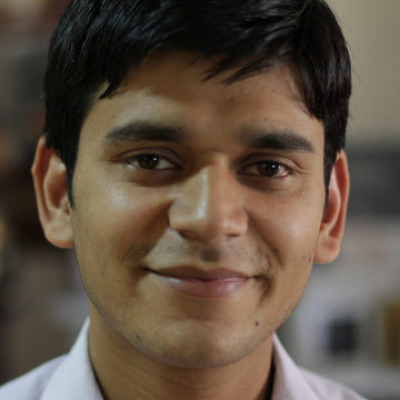 You would have come across various types of paint, such as Acrylic paint, Chalk Paint, Oil Paint etc. There are immeasurable number of possibilities to create the art piece that does justice to your ideas and imagination. So don’t impose any restrictions on yourself based on your choice of paint for the creation. An umpteen options lie before you, so try them all! Explore various elements of layering for your artwork, such as using a sponge to create a matte effect, air blowing the colors using a tool like straws, different types of brushes. Unconventionality is always embraced and appreciated in art. Materials like various types of wood, metal, watercolor paper are also great options to try out for abstract art. Thanks to the guide, you now know what Abstract Art’s all about and how to paint abstract art. Even better, you've tried it and mastered it already, and you’re wondering about Business matters with your Artwork. For all the professional, budding, and curious artists out there, here\'s a great platform for creating your own online marketplace for your splendid work. Gone are the days when one had to bear the burden of renting out a vast space, displaying and maintaining a gallery for your pieces to be sold. With the advent of a virtual modality for shopping, food and nearly everything under the sun, virtual galleries have found their way too. Explore paintings for sale, sell your paintings, all of it online! It just can't get easier than this. Open your own, remarkable Online painting gallery today! It's all yours, and you can finally get a taste of success, after all the hard work you’ve put into that wonderful creation. You’ve dedicated hours and hours of your precious time, put in life and soul into so many of them so they could embody the thoughts and ideas that excited your brain all this while, is it not? Join now, and display your Abstract painting for sale. Your marvelous masterpieces deserve all the limelight. In a world so full of opportunities and developments emerging every single day, everything you can ever think of is simply a click away. Learning and business have never been easier, so put all your reluctance to sleep, it's time to bring your aspirations to reality!